Welcome to fastest growing media segment in the world. Well, we have good news; Podcast Detroit has made it easy for you to put out content on your terms. Whether you want a weekly 2-hour show, a monthly 15 minute show, or anything in between, we have you covered. Podcast Detroit was started by the founders of IT in the D, Bob Waltenspiel and David Phillips. In 2013, they started the “IT in the D Show”, eventually moving into their own studio in May of 2015. 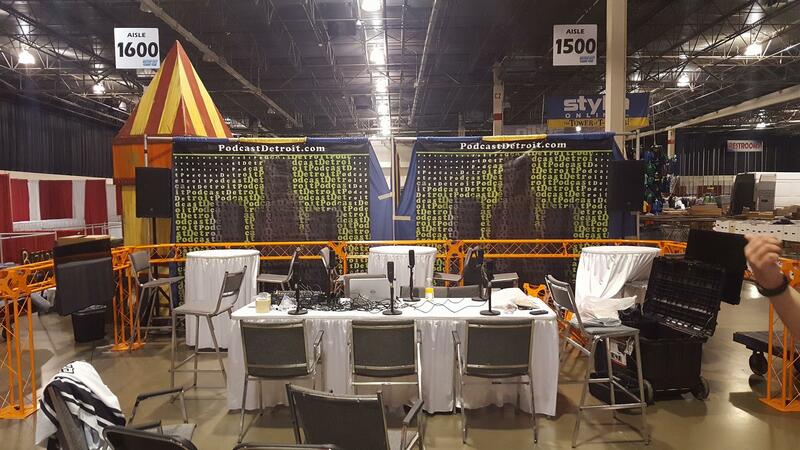 After being asked by a number of people to open the doors, Podcast Detroit was born in July of 2015. 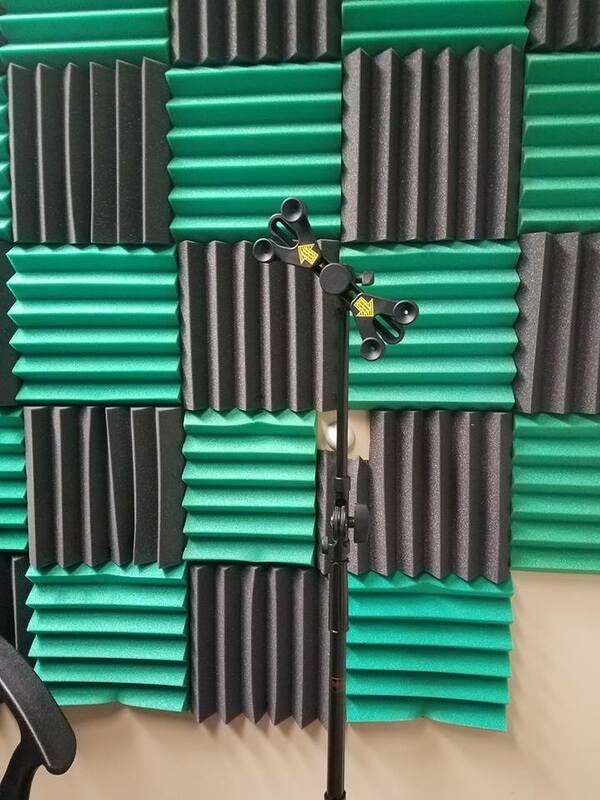 By January of 2016, the single studio was full, and a new location was needed. 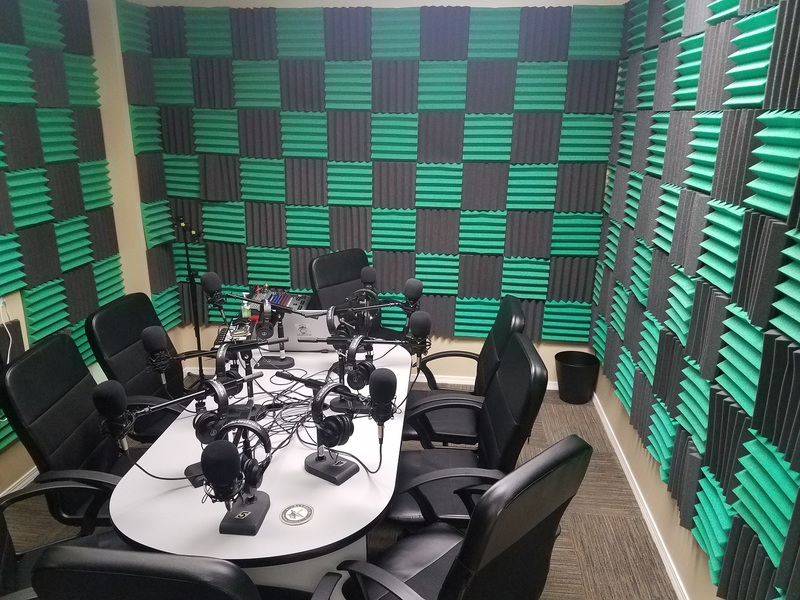 Podcast Detroit moved to their Royal Oak location in May of 2016, where there are 5 studios ready for your use – three studios for up to 8 people and one studio for up to 4 people, as well as our dedicated video studio. We also have a location in downtown Detroit inside the Detroit Shipping Company, an amazing space filled with restaurants, bars, and nightlife. Why Podcast Detroit? We’re dedicated to doing this right. We run a professional environment with the latest gear to handle just about any situation you can throw at us. 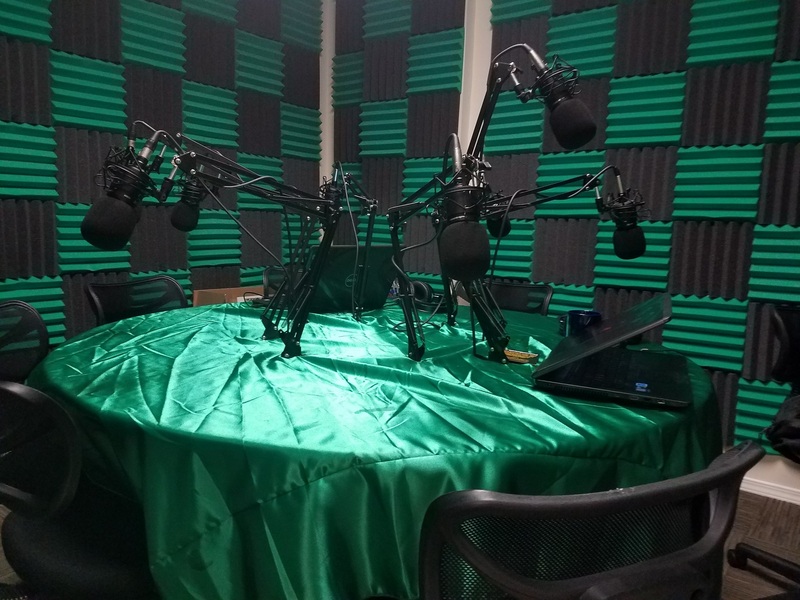 While we’re running this as a business, we build relationships with shows on our network – we want them to fulfill their goals, whether those goals are just to have fun an hour per week in one of our studios talking about issues with friends, launching or building a brand, or a corporation looking to meet specific needs. Our app is consistently being refreshed and updated with new features and functionality, ensuring the best listening experience possible, both for live shows and repeat broadcasts. Our live streams are fully and properly licensed for the broadcast of whatever music you want to play. 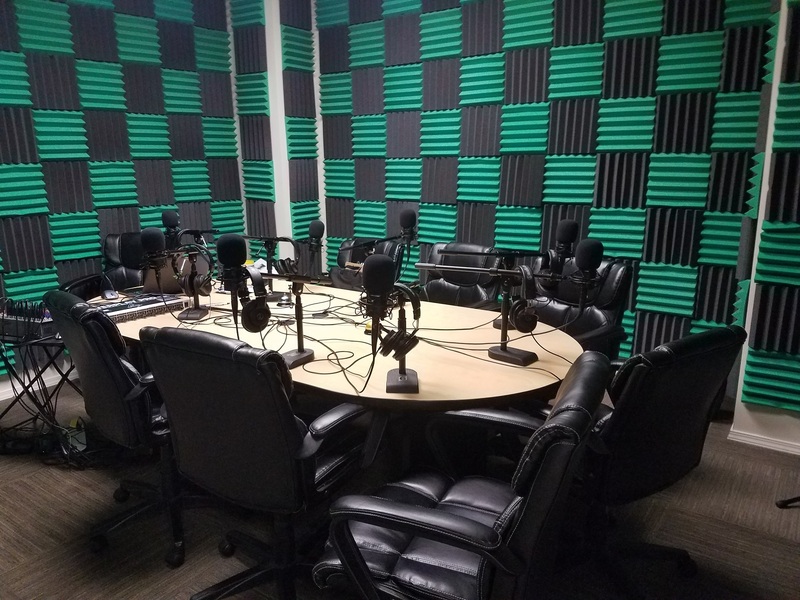 We’re capable of live remote broadcasts with two sets of gear, supporting either up to eight people or up to four people, and have done dozens of remotes. We can be as hands-on or hands-off as you want us to be, whatever suits your needs. 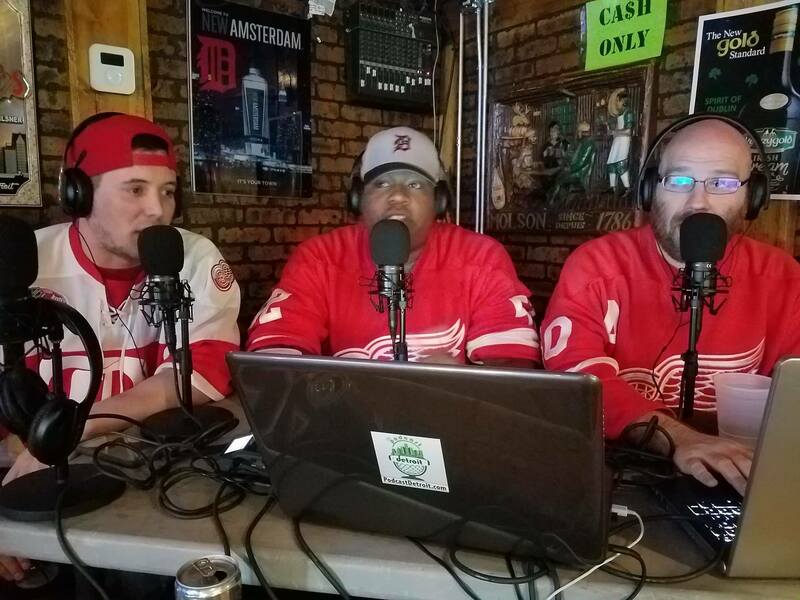 Our network is growing, and with each passing week, new shows are coming on board to take advantage of the facilities, equipment, and experience that only Podcast Detroit offers our show hosts and their guests. You should be one of them. How about promotional materials? Yes, we’ve got someone there for you, too. Fusion Marketing will give a 50% discount on graphics and web design work you may need, as well as nice discounts on any print materials including shirts, business cards, banners, and anything else you might want or need. So what does that get me? Your show will be edited lightly and posted to the Podcast Detroit RSS feed which will put your podcast on SoundCloud, Stitcher, iTunes, Podbay.fm, Pocket Casts, Podcast Addict, or anywhere else podcasts are syndicated. We currently syndicate shows to over 40 distribution points. So, do I own my own content? Yes, 100%. What about advertising? You are free to keep all proceeds from advertisers you procure. If Podcast Detroit finds an advertiser for you, you keep 70% of said proceeds. Do I have to sign a contract? You are week-to-week, however you do have to sign a code of conduct that basically says you won’t burn the building down. We just expect everyone to be adults here, that’s really it. How many people can we bring to a show? We ask that you have as many guests as there are seats in the studio (which is 8 or 4). If you have a couple others join you, simply please have them adhere to the code of conduct you signed. We all have our reasons for wanting to dive into the world of Podcasting. 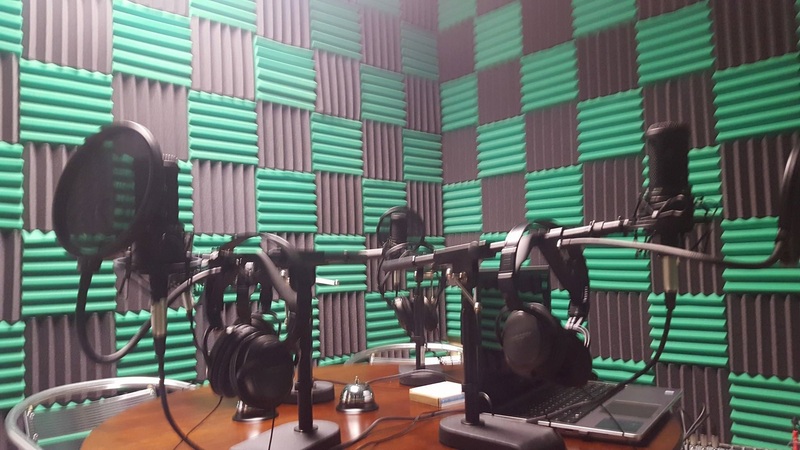 Let’s dive into some reasons why you should start a podcast. One of the hardest things in the world to do, besides hitting a 95mph curveball, is public speaking, it ranks up there with one of the top phobias. Now imagine simply talking in a small room, but it can get heard by the same group of people, if not more. Everyone is good at something, so why not share it with the World. Are you the leading expert on Q-Bert? Do you know more about Making a Murderer than anyone? Are you the biggest Star Wars geek on the planet? Do you LOVE beer? Then share it and find an entire community of those who want to learn from you and those who want to enlighten you. Falling asleep after a late-night show is one of the hardest things in the World to do after a fun podcast. For us, it’s the fastest 2-hours of our lives. It is literally a rush, not knowing that thousands of people are listening, but that you are recording that part of your life to be put on the Internet forever. You can immortalize your bar conversations. Can you imagine if you were able to tape some of those great bar conversations and arguments from when you were younger? Podcasting lets you do that. Want to listen to it years later? You can. Immortalize your Flash Gordon vs. Star Wars argument. Tape your “which craft beer is better” argument. Listen to your bad jokes months or years later. We always figured the podcast to be bowling night. Why? Well, it cost a certain amount for 3 games, plus beer, pizza, then beer after. If you have a co-host, well, that just became a $20 per night plus beer and food. Not too bad considering the fun that is had. That first email, Tweet, etc. acknowledging something you said on a podcast is literally insane. Building a community revolving around a show is an art, but it is attainable. Most people worry about downloads for a podcast, but audience engagement is the key. You can literally talk to the Globe. When we found out we were listened to in 41 countries, we almost fell over. But that’s the beauty of a podcast, you can literally be heard on any corner of the entire globe. You can build your personal brand. Building your personal brand and your network are you two biggest assets professionally. What better way to build your brand than you telling your story yourself. Whether you are in wellness, or in entertainment, or IT, your podcast can be that vehicle to shape your brand. It’s an amazing conversation starter. Whenever I say I am a podcaster, I get 20 questions. What I think is simple is fascinating to some people. Going back to the #8, your personal brand, you are remembered for doing a podcast and you will be amazed how many conversations you have turn into regular listeners of your show. It’s an insane amount of fun. If it was work, there is no way we would be here right now. It’s fun. It’s a lot of fun. And to think it helps us professionally and doesn’t cost a lot? Regular: Our normal process. You come in, you record, you walk away, and we take care of the rest. We do our normal editing and normalization process, and syndicate your show out through our normal methods. This is our $40/hour or $60/hour level that almost all of the shows that record with us fit. White label: for those shows that want to use our facilities, but not necessarily be “a part of the network”. Your content is not syndicated through our normal channels, and we’re simply a recording platform for you. Rates start at $100/hour. We also offer a full set of professional services, from advanced editing to consulting, even all the way out to building your own studio. Want to know more? Fill out this form and we will be in touch with your shortly.